A MAJOR police operation is underway at Tweed Heads as investigations into the murder of a nine-month-old baby girl whose tiny body washed up on a Gold Coast beach last week continue. A large land and water search kicked off at the Tweed Heads River and surrounding areas at 9am today, with officers searching for clues in relation to the infant’s death. 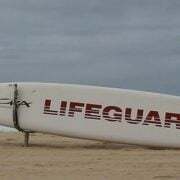 The youngster’s lifeless body was located on the edge of the surf in Surfers Paradise around 12.30am on Monday last week. 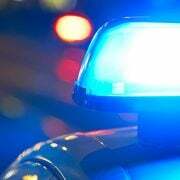 The death was initially being handled by Queensland Police, however NSW Homicide detectives have since taken over the investigation after it was revealed the infant died in NSW. Police believe the baby was thrown into the Tweed River sometime between 6pm – 7pm on Saturday 17 November. The girl’s father has since been charged with murder and appeared via video link in Tweed Heads Local Court where he was remanded in custody. 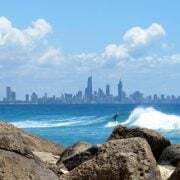 At a press conference on Monday morning, NSW Detective Chief Inspector Wayne Walpole revealed investigations have established “a number of incident sites” that stretch from Kingscliff through to Tweed Heads (in particular the Jack Evans Harbour area) through to Coolangatta and Surfers Paradise. He said police divers will scour the area, with officers looking for a number of items of interest, in particular a black and red chequered picnic blanket. “Officers from the Marine Area Command will search the Tweed River and outlying foreshores and will be assisted by police divers, who are continuing to conduct dives in line with tidal and current flows on the day of the incident,” NSW police said. Investigators are also appealing for anyone who was in the area during the evening on Saturday 17 November, and saw or heard anything suspicious to come forward.